Handicrafts have a long tradition in just about every city in Kosovo, with Prizren, Peja, and Gjakova being the best known. Kosovar artisans are distinguished by their rich and skilled tradition they have with filigree, silver, copper, brass, argil, wood and other materials. Wonderful examples of such work can be found in souvenir shops throughout Kosovo. Wood carving by Kosovar artisans has been made for decorations used in general construction, house roofs, religious buildings, traditional furniture, decorative stone-carving in Albanian bastions (towers, castles), etc. Kosovo's artisan production and wood engravings are found in Albanian traditional musical instruments such as: the çiftelia; lahuta (lute); fyelli (flute, pipe); children's beds known as “djepi” (the cradle); producers of “plis” (Albanian traditional, white hat); and other national clothes to name a few. From cooper and magnesium, Kosovar craftsmen have made the mill/grinder (to grind the coffee), coffee-pots, tobacco boxes, etc. Even today the creators of such works have strong dedication and willpower to preserve the traditions of their ancestors. 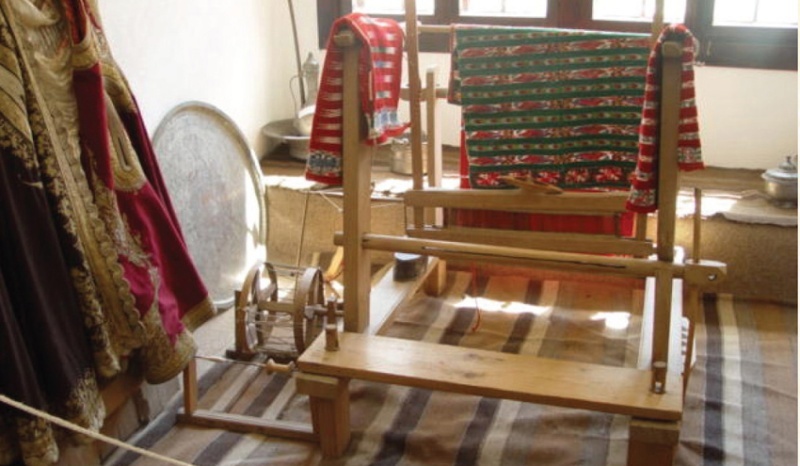 In the villages of Malësia the national clothes are still proudly worn, and in the National Museum and in other museums and galleries in Kosovo, the Kosovo traditional clothes and handicrafts are proudly exhibited.